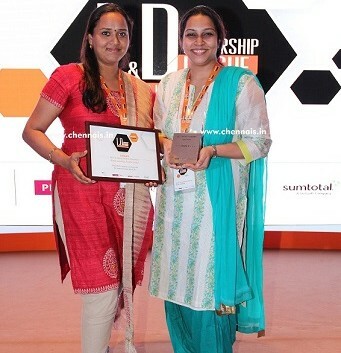 Chennai, India, 15 October, 2015– Beroe Inc won the “Best Onboarding Solution for Learning & Development” award at the 3rd Annual L&D Leadership League organized by People Matters Media recently. There were 130 nominees, the prominent ones being HCL Technologies, Macquarie Global Services, Pfizer, Raychem RPG, and Vedanta Limited. The awards panel comprised of HR industry stalwarts: Aarif Aziz – HR Head GE India, ASEAN & Africa, Kedar Vashi – Head Learning & Development at Hindustan Coco-cola Beverages, Anand Pillai – Managing Director, Leadership Matters Inc,among others. The previous winners of the awards were TCS and Make mytrip.com. The L&D Leadership League Awards 2015 initiated by People Matters Media is a platform recognizing and rewards the best learning practices within organizations for making a clear business impact as a result of its Human Resource and Learning and Development-related initiatives. These awards will recognize different aspects of Learning and Development which have enabled HR as a function to strengthen its relevance and role in the larger business context. Beroe Inc is the premier global provider of customized procurement services specializing in sourcing, supply chain visibility, financial risk analysis, and environmental impact since 2005. Some of the clients are the largest in the world, including over 170 of the Fortune 500. Beroe delivers strategic procurement intelligence that enables answer critical questions and achieves business objectives. As an integrated extension of procurement function, Beroe is the only firm to offer specialized benchmarking, forecasting and costing models. With over 325 dedicated procurement specialists in each domain, Beroe proactively invests in knowledge assets to build valuable, real-time procurement insight.